We'll be building up a list of places of interest local to The Hare And Hounds that registered users can rate. This will help visitors to the area find the best places to go and might even provide some inspiration for us locals too. If you want more information on any of these, why not pop in and see us - we might have some further literature, advice or even discount tickets for some of them. 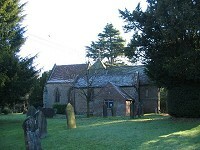 A 12th century village church with renovations dating to the 19th century. Massive sandstone cliffs set in the midst of Warwickshire countryside, with caves and "the witches face", only a twenty minute walk from the pub. 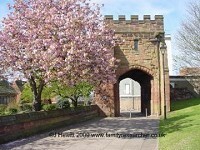 The hidden historical gems of Coventry, a city incorporated in the 14th century. Originally a city built on the wool trade, its links continued right through the 20th century with Courtaulds and Cash's. Mary, Queen of Scotts was imprisoned here, and Queen Elizabeth I's lover Robert Dudley was a local landowner. The motor industry gave the city a modern twist with James Starley producing the bicycles, George Singer introducing the Singer Car as well as Jaguar, Humber, Roots, Chyrsler and not forgetting Alvis. The city has three cathedrals, the original being destroyed by Henry Viii, 400 years before Germany repeated the act. The New Cathedral is a splendour of post deco design with Sutherland's superb tapestry being at the centre, but also the magnifcent font modern, but only used for the first time in 2009. The Hare & Hounds was a massive link to the city following the war when corporation buses brought people to dances here when much of the city was still devastated. Today we really are the "country pub closer to town" being only a 6-7 minute car ride from the city centre. Holy Family is within a five minute walk to the Hare & Hounds and many families have used both venues for family events such as christenings, communion and weddings. 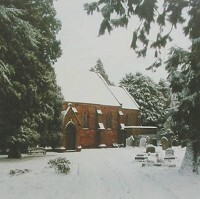 The church of St Thomas was established in 1847, and is a popular venue for weddings and chistenings in the area. Home of Coventry City Football Club, the arena is 5 minutes from the Hare and Hounds by taxi and 25 minutes on foot.